We have been taught in school that the Earth we live in today is solid and filled with molten iron. In the schools we all attended as children we were all told several “facts” that back up this “theory”; volcanoes spew lava, the earth has a magnetic field, and so on. We are also taught the Earth was once a molten ball that revolved around the sun, but if a liquid were to rotate in zero gravity it would leave empty space in the center. Here is a little experiment performed by NASA. You may wonder about the Inner Sun, a possible explanation would be cold fusion. The subject of cold fusion does not seem to enjoy much credibility in the USA. Some scientists regard cold fusion as a pseudo-science. Yet many countries in the world are pouring enormous sums of money into hard scientific research on the matter. Some scientists have already discussed the possibility of cold fusion occurring inside the Earth. P. Palmer, a geophysicist has already suggested this. Helium-3 emanating from inside the Earth has been regarded by some as an indication that cold fusion might be taking place deep down inside the Earth. Read more about this here. As an alien theorist we understand the moon is not naturally the Earths satellite, there was a time in human history where there was no moon, even scientists today are beginning to realize there is something odd with Earth and its relation to the moon. Democritus and Anaxagoras taught that there was a time when the Earth was without the Moon. Aristotle wrote that Arcadia in Greece, before being inhabited by the Hellenes, had a population of Pelasgians, and that these aborigines occupied the land already before there was a moon in the sky above the Earth; for this reason they were called Proselenes. A lot of myths, legends, and tales say that there used to be no Moon in the sky. The Moon appeared after the Great Flood. This was noticed by the people who lived in the south of Greece, as well as by African tribes and others. We are told by others such as David Icke that the moon is a Death Star, a hollowed out planetoid space ship used by the Reptilians. According to those who embrace New Age, Pleideans/Nordics are planning to “take out” the reptilian base that is the moon. 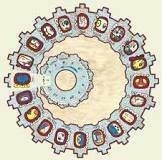 If you take a closer look at ancient “calendars” you can see most symbols are symmetrical, except for the creatures. These calendars are not telling us of time, they do not tell us anything about the heavens, they are all maps; the Mayan Calendar is a map of the concave planet. It would get one to wonder why it is that hollywood would even want to push this “conspiracy theory” of what the Mayans predicted, could it just have been disinformation? Yes. In the past humans could have possibly had some interaction with begins or species living beneath us. The animals on these calendars do not represent different “years”, but all the living creatures living on the concave plane that is the earth. 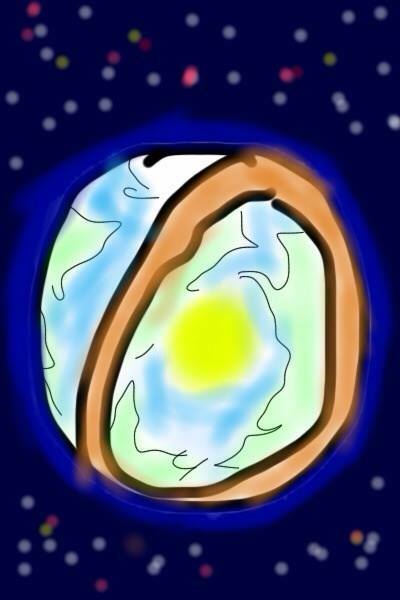 Others theorize WE are the ones living on a concave plane, that we are the ones living in the hollow region. You can see what exactly represents the sun and the moon giving light to one part of the Earth, and darkness to the other. 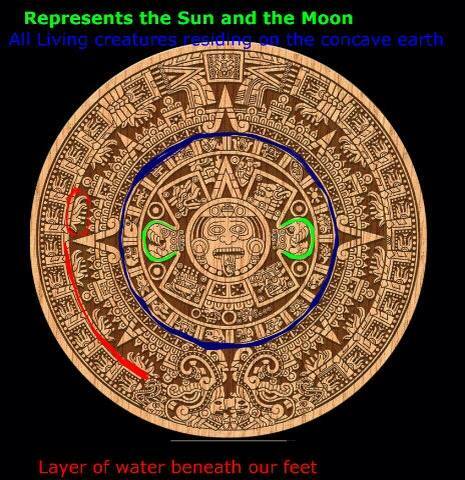 You can also see, at least in the Mayan “calendar” Map, there is a layer of water underneath the land. 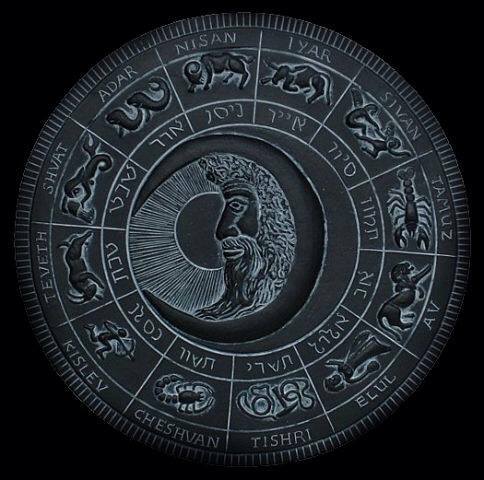 The Sages of Israel maintain: The sun travels beneath the sky by day and above the sky at night; while the Sages of the nations of the world maintain: It travels beneath the sky by day and below the earth at night. In the Bible: Then God said, “Let there be an expanse in the midst of the waters, and let it separate the waters from the waters.” God made the expanse, and separated the waters which were below the expanse from the waters which were above the expanse; and it was so. The firmament is the sky, conceived as a solid dome.According to Genesis, God created the firmament to separate the “waters above” the earth from those below. 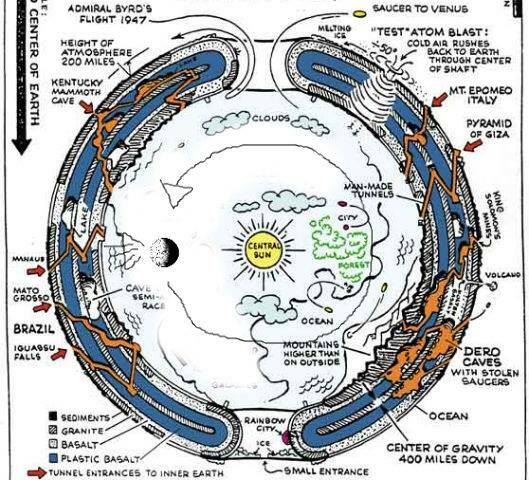 There is no doubt in my mind the earth is not solid, many of us believe there are intelligent beings living “underground”; but what if our interpretation of the hollow earth is flawed, what if the beings “beneath” us, have other being living “beneath” them. 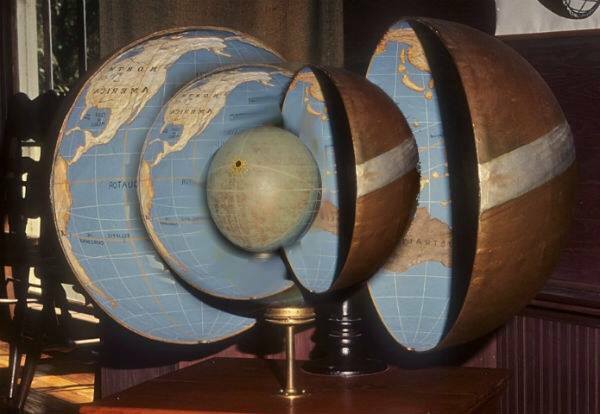 These maps passed off as calendars could just be one of the “layers” of Earth. 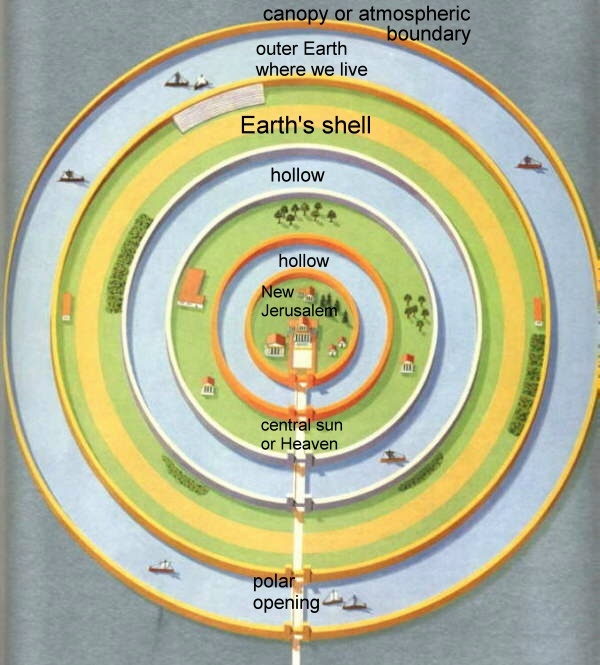 Here is an Atlantian Model of the HollowEarth, and a 3D model I created below it to show what I mean. According to the book of Enoch, excluded from the King James Bible, the Earth has multiple cavities, layers, or hollows to it. You may be skeptical of the theory that we are the ones living on a concave structure, but there is science that could prove this. This man explains much on his YouTube channel if you are interested in learning more on the subject. This man also goes into great detail explaining how and why this is possible. I highly recommend his videos, you can visit this mans YouTube channel to get scientific explanations on this theory. You may wonder, why can’t we see the Earths land curve upward if it were truly concave? Here is a video with an explanation. The moon could be inside with us, monitoring us. In the past, unlike today, the elite claimed they had the divine right to rule; they claimed to be direct descendants of the gods. The oldest writings discovered are known as the Sumerian Tablets. The Sumerians are one of the first human civilizations to have existed and their knowledge seemed to suddenly appear from no where. They knew much of what the rest of the world had to rediscover, it was as if the information they possessed had been given to them. According to the Sumerians, the Annunaki, an alien species, came to earth in search for gold which would be used to save their dying planet. Those who were sent to earth to retrieve the gold, and did not want to do the work themselves, took their own DNA, and the DNA of many different species native to earth, in order to genetically engineer a new species they could use as a slave race to do the work for them. This new species would be less intelligent than the Annunaki and much weaker so they could be easily controlled. This new species is the human race; because of this, the Annunaki, are known as fallen angels, or demons. What they did to our genome and our species was considered a sin against the universe. In reality, we are all direct descendants of the Annunaki, every human being today has reptilian DNA; the only difference between the elite and the rest of humanity is that the elite are decendants of humans who physically bred with the reptilian race in order to create bloodline families; they have been interbreeding for so long, they have preserved much of their reptilian DNA in their genome. Throughout history, humanity has been subject to the rule and tyranny of the few rich. In the past, these rulers were known as the emperors, cesars, kings, and pharaohs; they were the monarchs, those who were in control in humanities past. These people were the elite of the time, and had taken advantage of humanity in the past. All of these families who ruled over our ancestors had always claimed they had the divine right to rule over humanity; they claimed they were direct descendants of the gods, those who engineered humans. Today we would consider them apart of the old world order; but this is extremely misleading. Those who are in charge of todays major industries and corporations are direct descendants of the old rulers, the elite of the old world order, and are todays elite. There is nothing new about this new world order in control today, which is trying to strip us of our right. They have done an amazing job at convincing humanity that we are free, that we have a choice; they created a system of government and social organization they completely control and dictate with their monetary system. It is not our politicians who are in charge, but the elite who put them in charge. There is no plot to take over the world, or to control all governments, they already have, and have alway had control; it is the degree of control that their goals are centered on. I say degree because no matter how many protests, no matter how many revolutions there have been, we have always been under the control of these bloodline families. Protesting and bringing about a revolution only pushes them back just a little bit; we never gain much, but a generation or two of a little change, with a gradual return of what previously we had previously fought against. The goal they have is to strip us of our “rights” with our consent; this is where all false flags and public schools as indoctrination come in. With the bombing of the twin towers on September 11th they took our right to privacy, which we never had, this event only allowed what they have been doing for decades to be written into law. Their next step is not only to have complete control over humanity, but to depopulate as well. Their goal of “sustainable development” is clearly shown in Agenda 21, an official United Nations resolution using the concept of environmental friendliness as a guise to take away our private property, and civil rights; and have complete control of the world. There are too many humans for the elite to easily control living in today. With the Information Age, brought to us with the Internet, people are beginning to wake up. They are afraid too many people will wake up and take back the world with a new system based on humanism and wake up to true spiritualism. We have power in numbers and could bring about change without having to have a revolution, there would not need to be any blood shed, there never did. 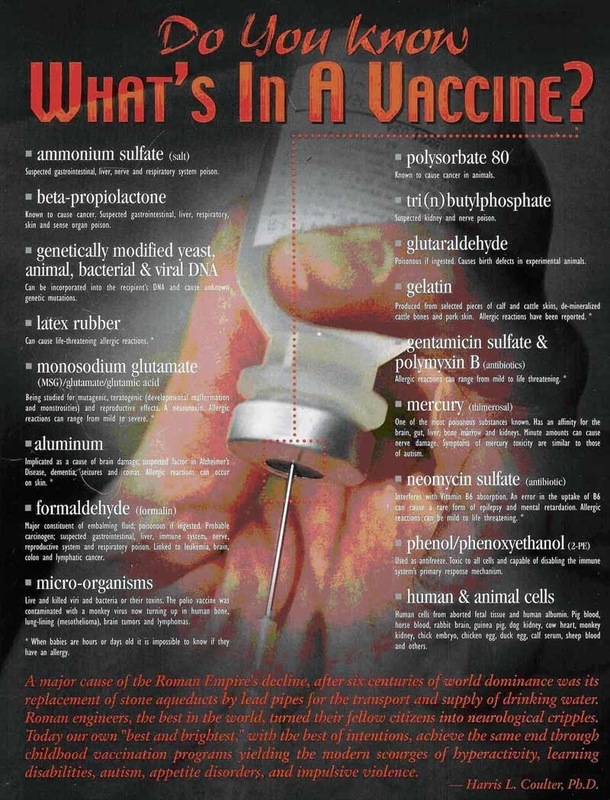 If the public realized what was really going on, they could turn their back on the system, politicians, secret societies, and the elite to bring completely change the system without having to fight, there would be no death; that is of course, if the public chose not to hang every last one of these leeches by their necks as they well deserve, but welcome them as equals into our new society. They fear this could happen unless action is taken, and because of this reason, they seek to depopulate the human population. They have different methods of doing so. They cause wars by creating conflicts among nation through brainwashing, propaganda, and fear with false flags so that we just kill each other off, while they profit off of it. They poison our air and environment with chemtrails, which has more than just the purpose of spreading harmful chemicals in our atmosphere to poison us. 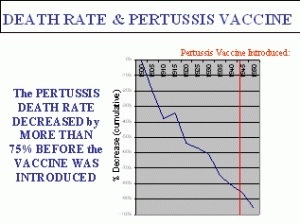 The government has been doing this for a long time; before they would deny it, now they just try to come up with an excuse for doing so because too many people are aware of this fact. They also feed us poison, 90% of the food Americans buy are GMOs, or genetically modified organisms; under the Trans Pacific Partnership TPP, it would be illegal for countries to ban GMOs, and Monsanto, the corporation specializing in chemicals behind GMOs, could sue a nation for doing so. In America, mothers in need who receive WIC only have access to GMO products, which is extremely harmful to her child. The microwave most Americans own will even cause ill health and possibly cancer. The foods meant to be microwaved, which are prepared by the corporations you buy them from, are terrible for your health. Our water supply, even bottled water, is filled with hormones and sodium fluoride, a poison, which is purposefully dumped in our water supply by corporations who do not dispose of it properly. 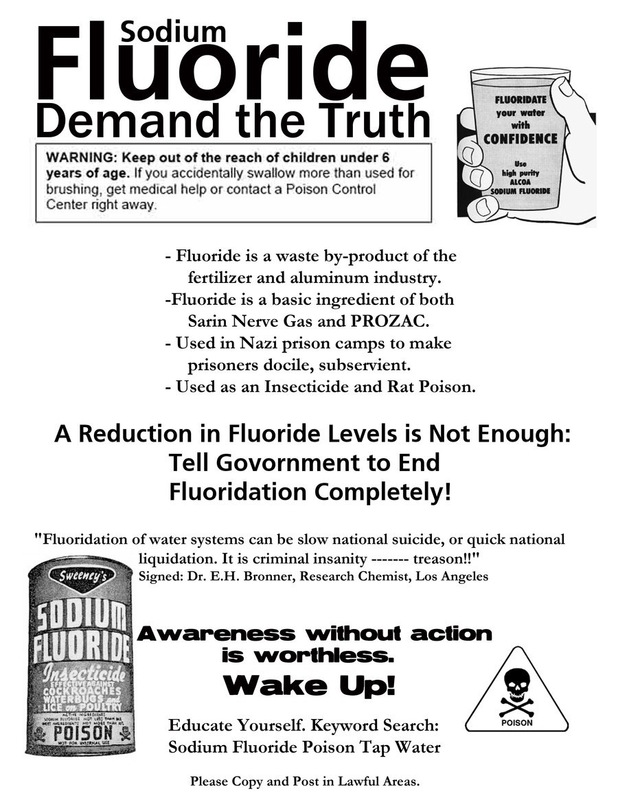 We are lied to and told sodium fluoride is beneficial to our teeth, this is far from the truth, it is a poison that has no business being ingested by a human begin. Humans are also depopulated with genetically engineered diseases, one example being the AIDs virus, which are created by the CIA. 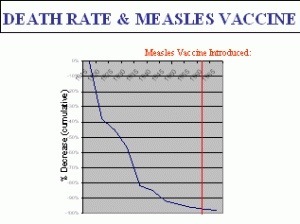 Even the ingredients in vaccinations that are supposed to benefit our health do nothing but the opposite of what we are told they are intended to do; we are told survival rates are higher than they were before they were introduced, this is true, but death rates have dropped before the vaccinations were even introduced, they are a scientific fraud. The medical industry is also guilty of feeding us poison, one of the main ingredient in anti psychotics is sodium fluoride. The big pharma industry manipulates their data, and hide statistics that would show how harmful their product really is. Their medication does nothing but harm the patient, they even cause the very symptoms they are supposed to be treating. 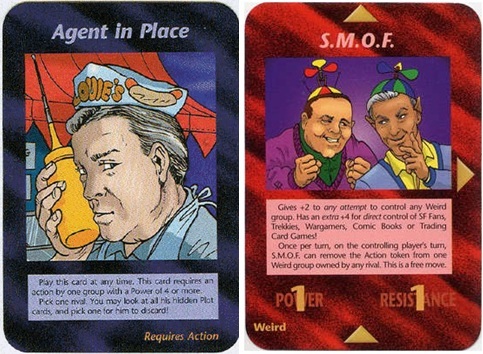 An interesting fact to point out is that all false flag shooters in America are truth seekers, conspiracy theorists who believe they are being mind controlled, most of them are put under these medications and driven mad through hypnosis, subliminal messaging, harassment, death threats, and all while being on medication which has side effect of violence, delusions, and paranoia; these men are not delusional, they are paranoid for a reason, the CIA is responsible for using MK Ultra techniques on these people to get them commit an attack. We are never told by the media of the harm pharmaceuticals do, main stream news is offered bribes to keep this away from the public. They are paid to air commercials for these poisonous drugs to keep them quiet. Most of these depopulation tools will cause cancer, even the cancer treatment industry causes cancer. 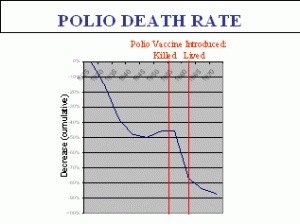 There is a cure for cancer, which is well known to conspiracy theorists, or truth seeker, but its more profitable to slowly kill dying men, women, and children by exposing them to radiation. Many people die just from the chemotherapy they are put through and not the cancer they had developed.